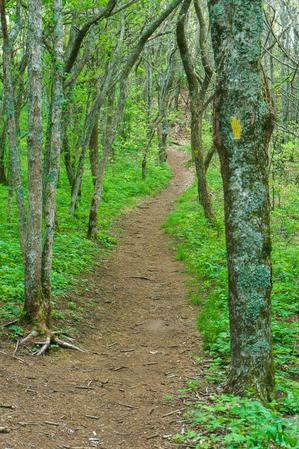 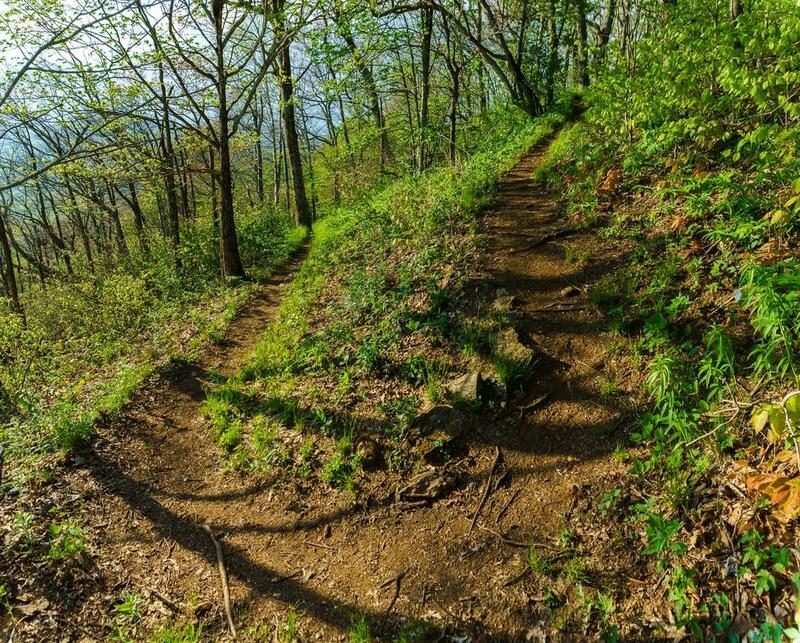 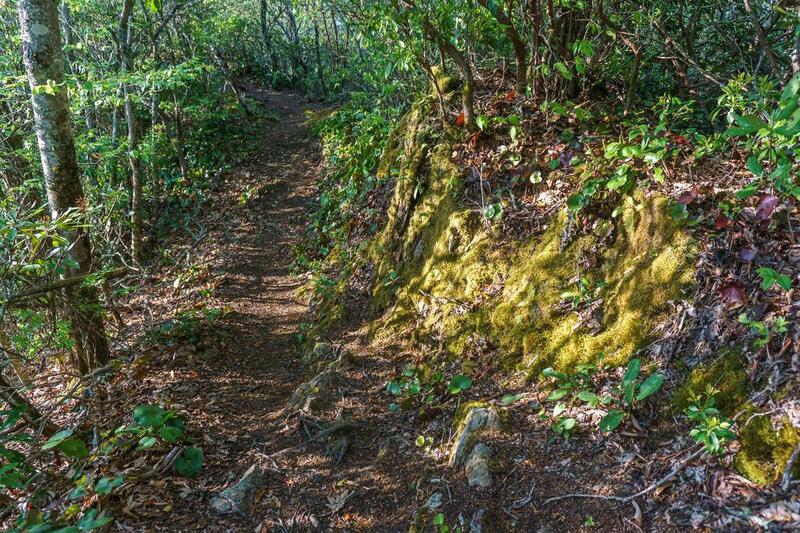 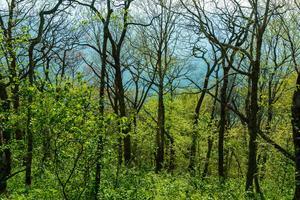 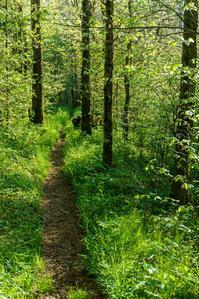 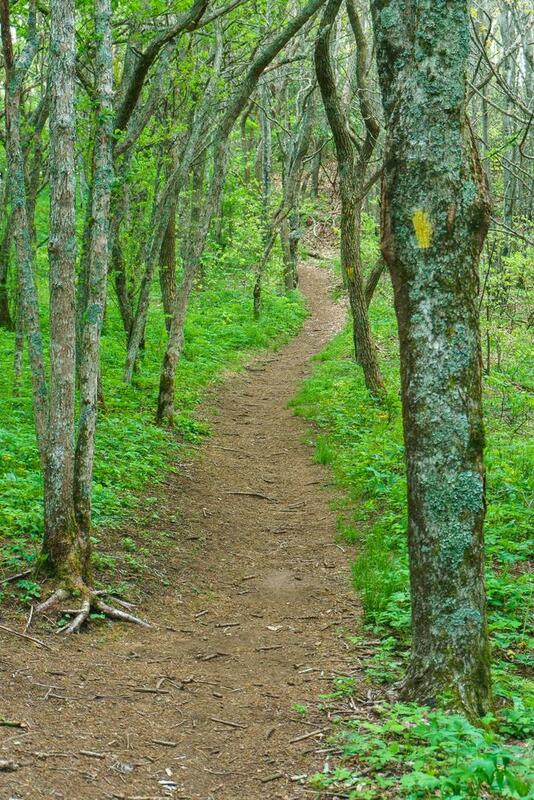 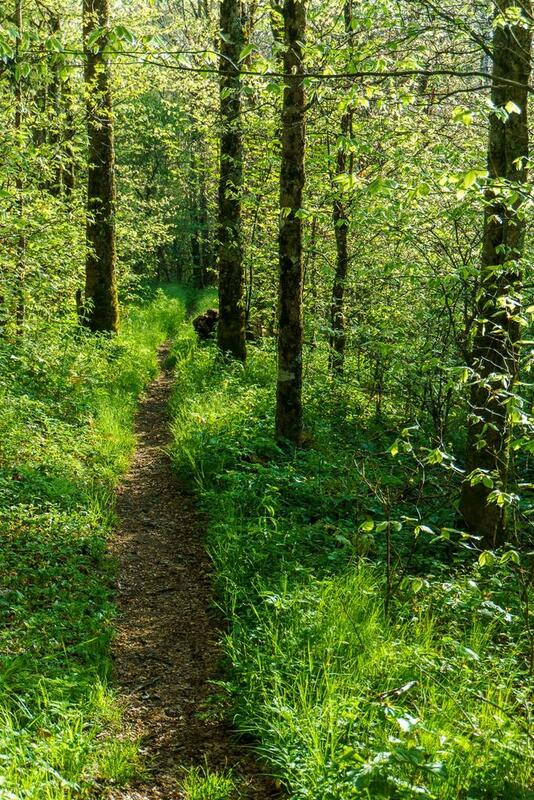 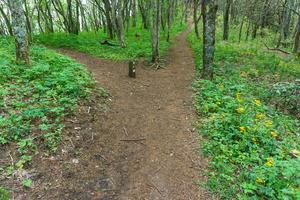 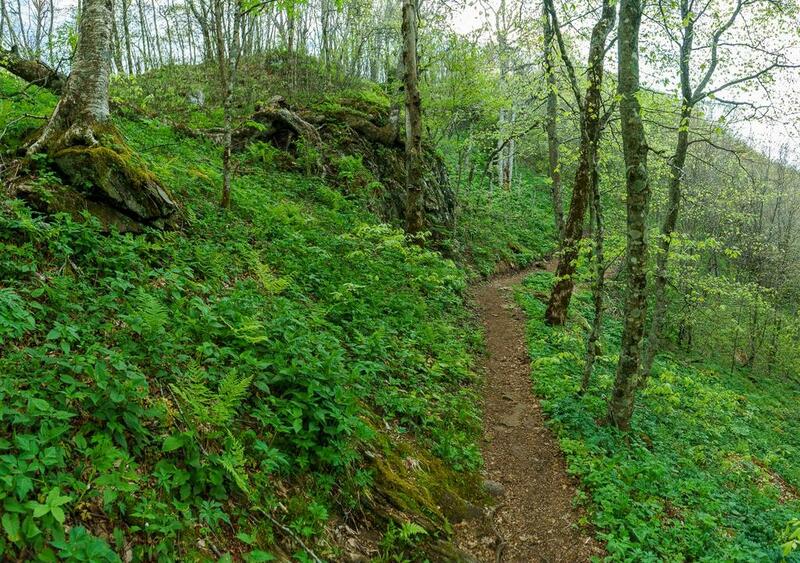 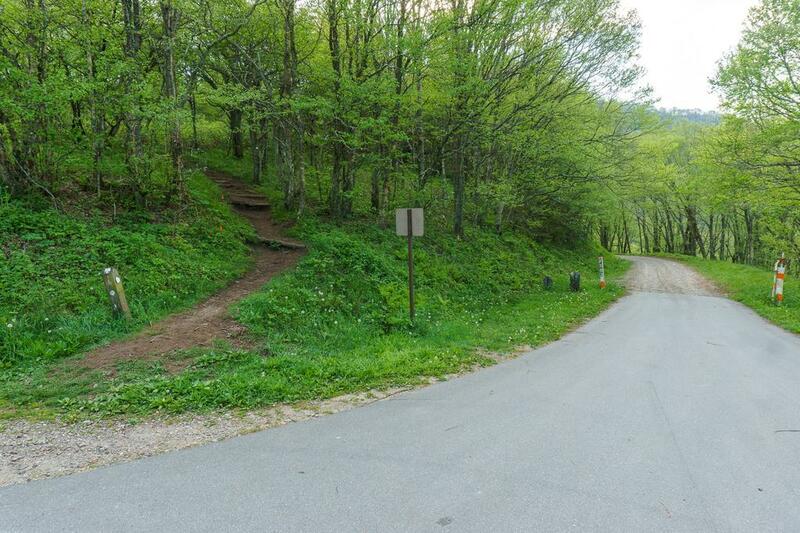 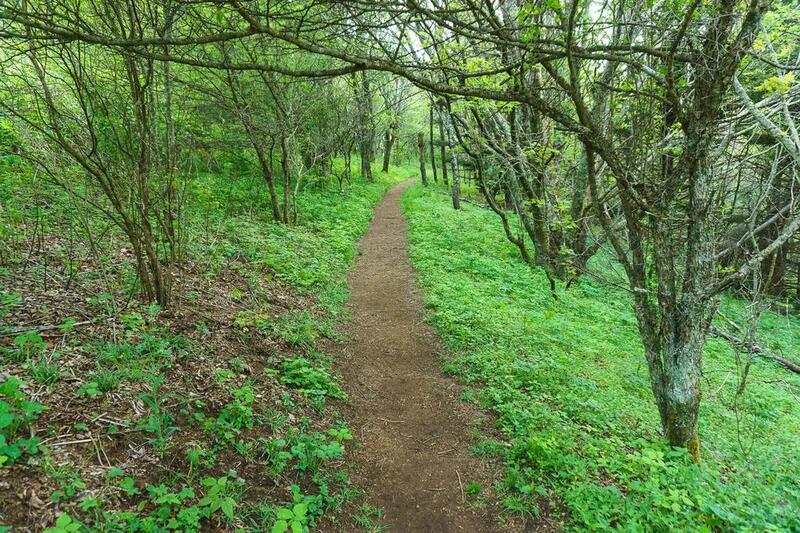 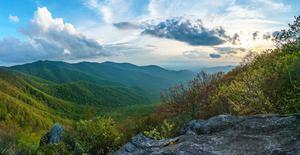 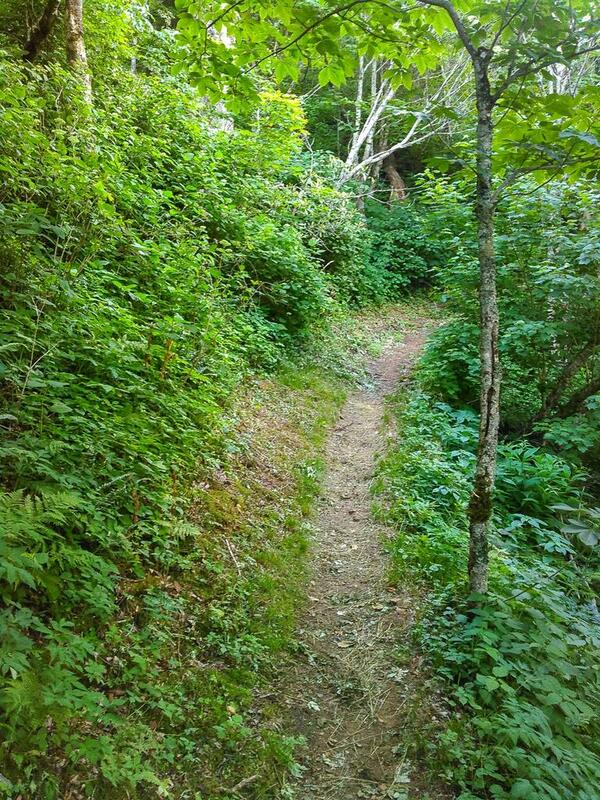 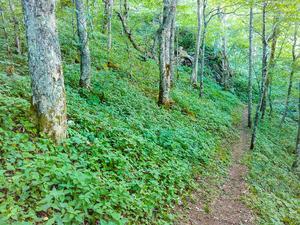 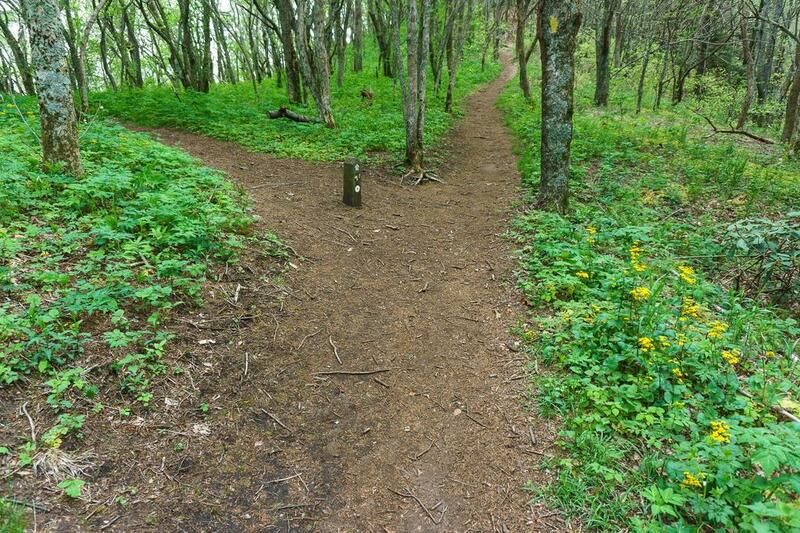 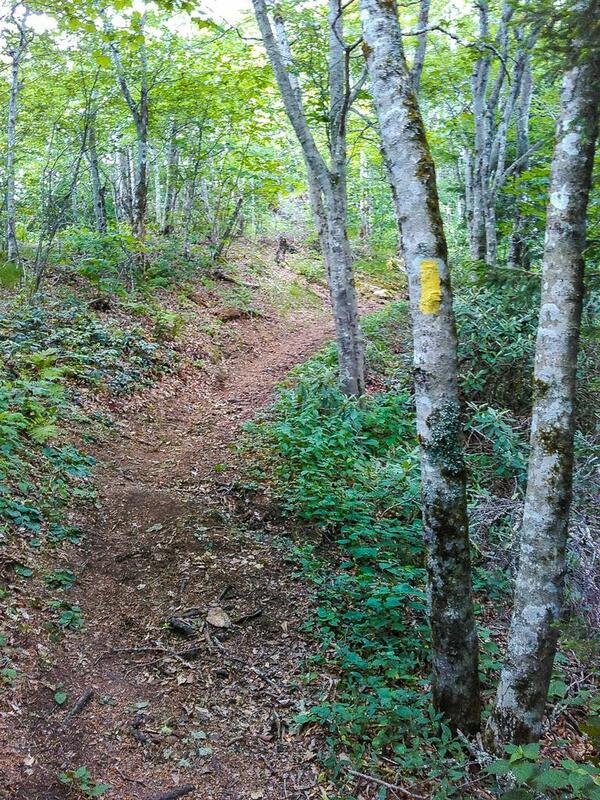 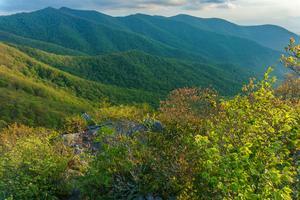 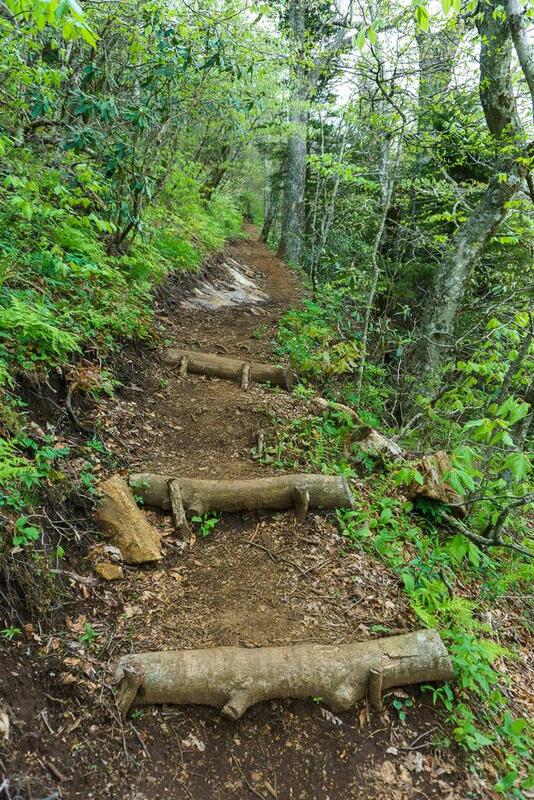 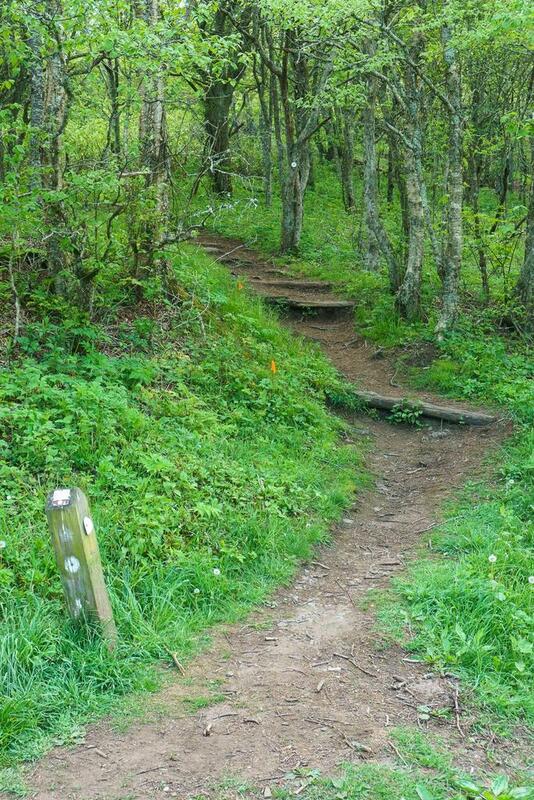 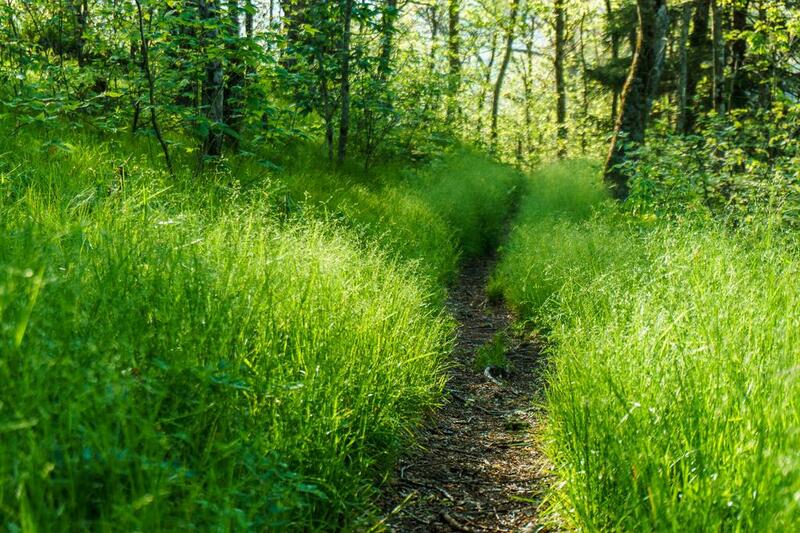 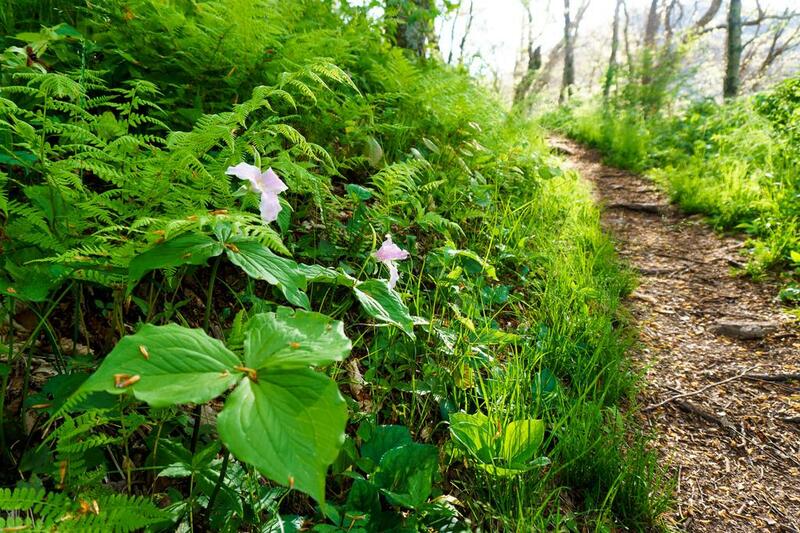 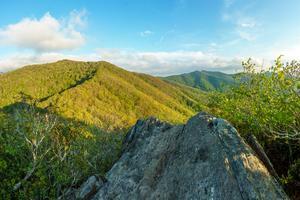 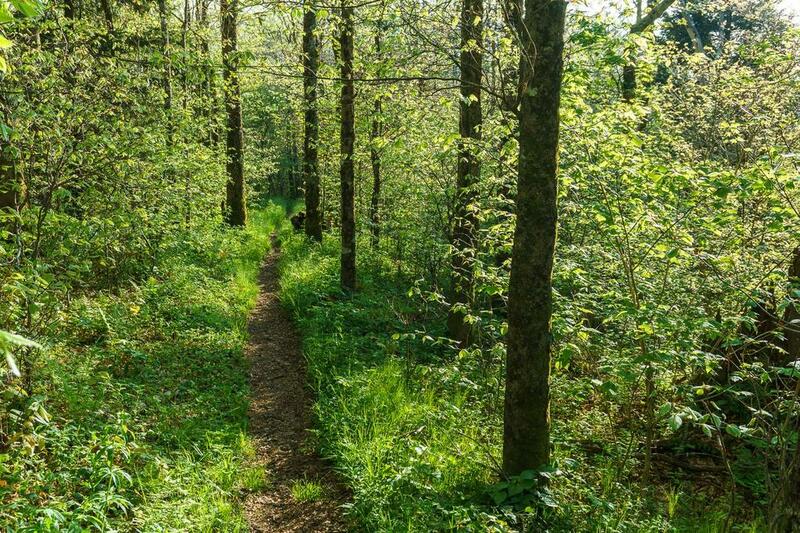 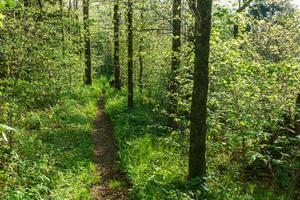 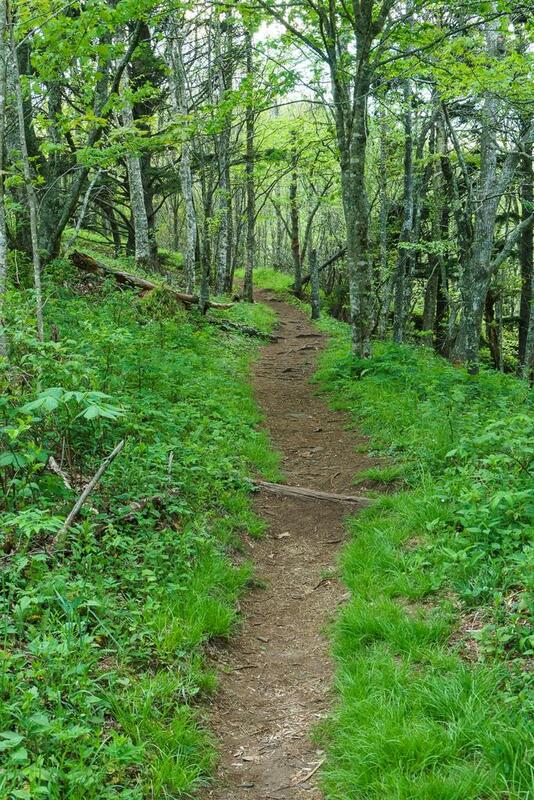 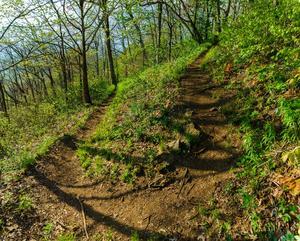 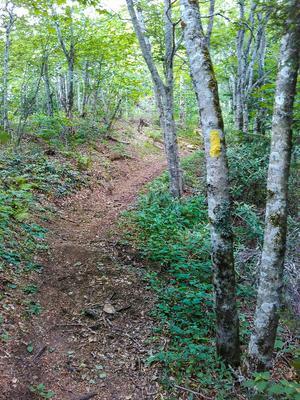 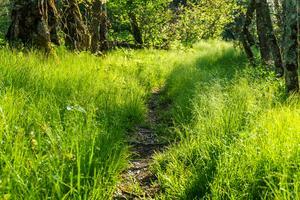 This trail is located in the Blue Ridge Parkway Section 4 area. 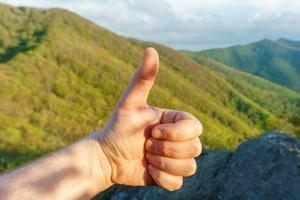 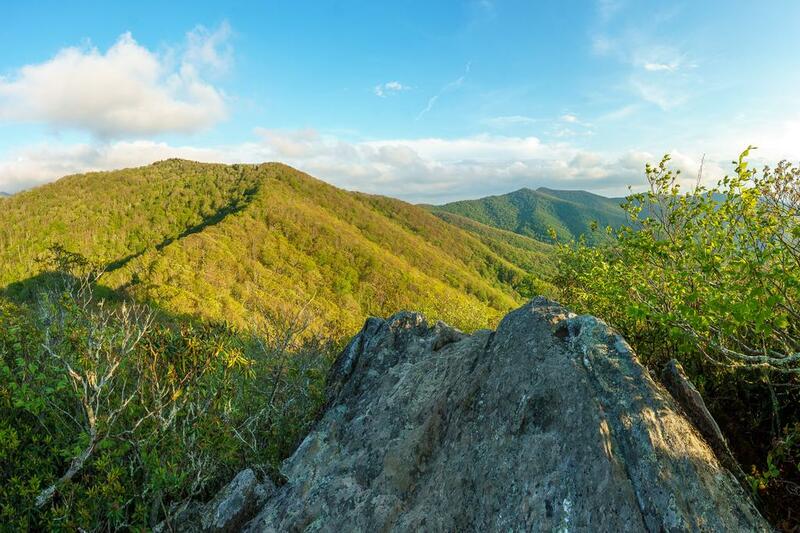 For a list of all the trails in that area, see the Blue Ridge Parkway Section 4 trails list page. 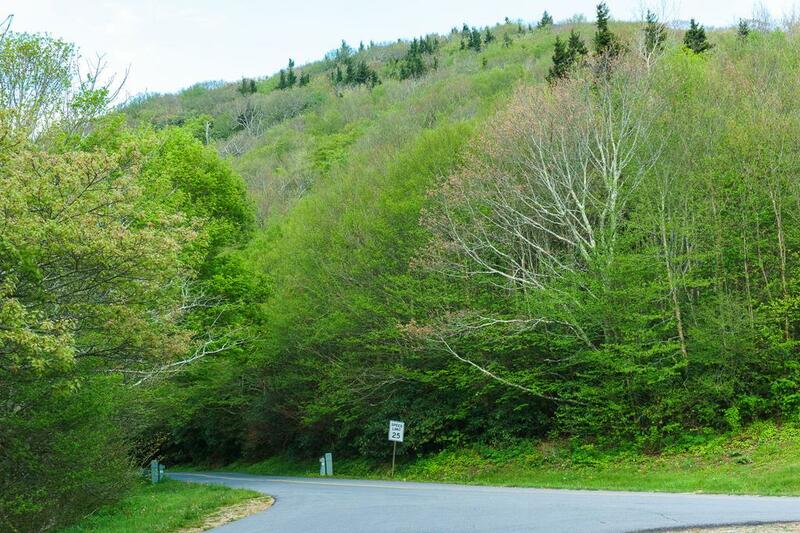 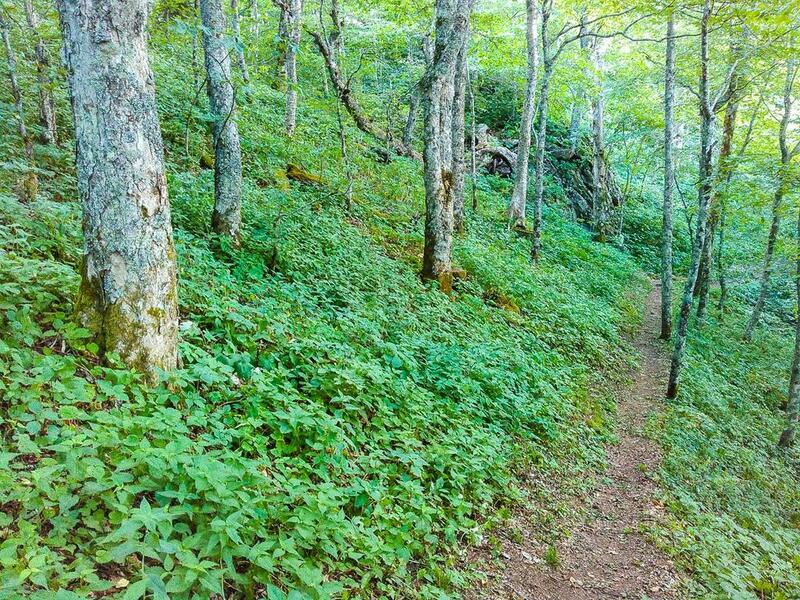 From the intersection of Stoney Fork Road and the Craggy Gardens Picnic Area access road in Beetree Gap, the Mountains to Sea Trail climbs past a nice clearing to a junction with the Snowball trail on the right. 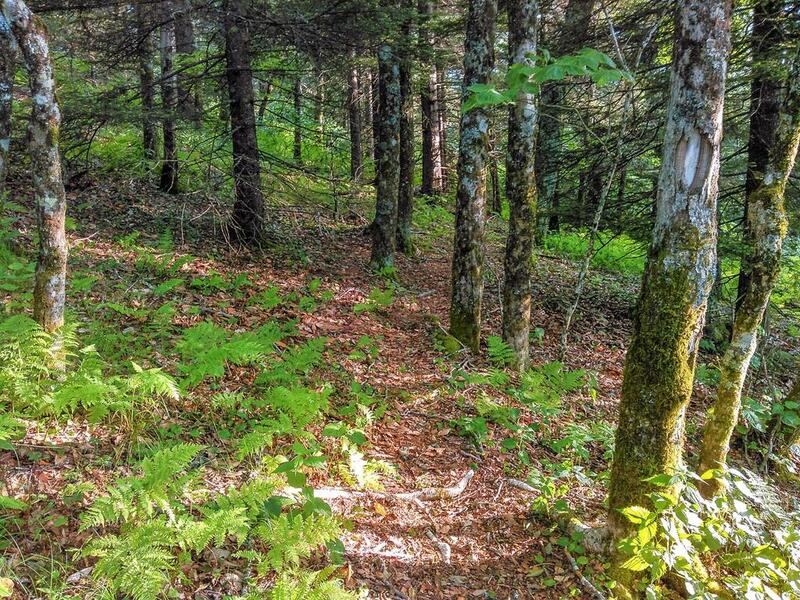 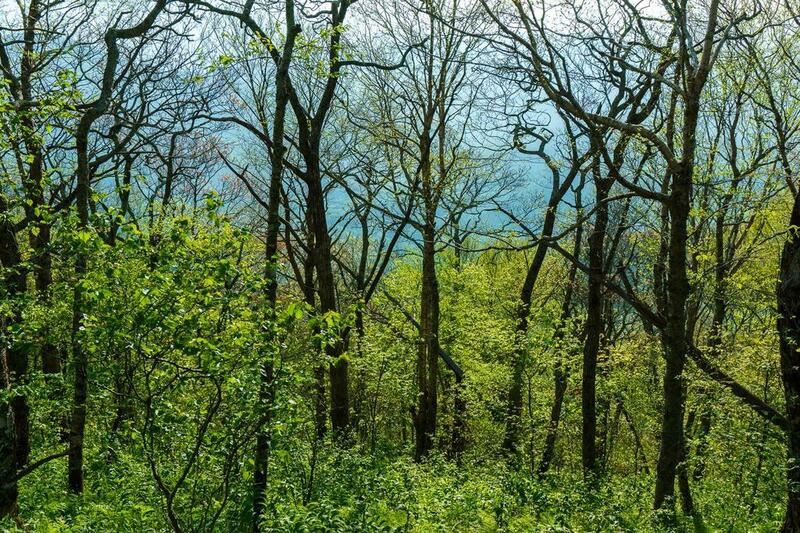 The Snowball trail slips off the north side of the ridge and makes a few switchbacks as it climbs through a beautiful northern hardwood forest toward the summit, a forest with some big old oaks in it. 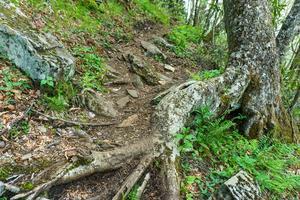 There are patches of spruce-fir forest, too, which are unusual for the Craggies. 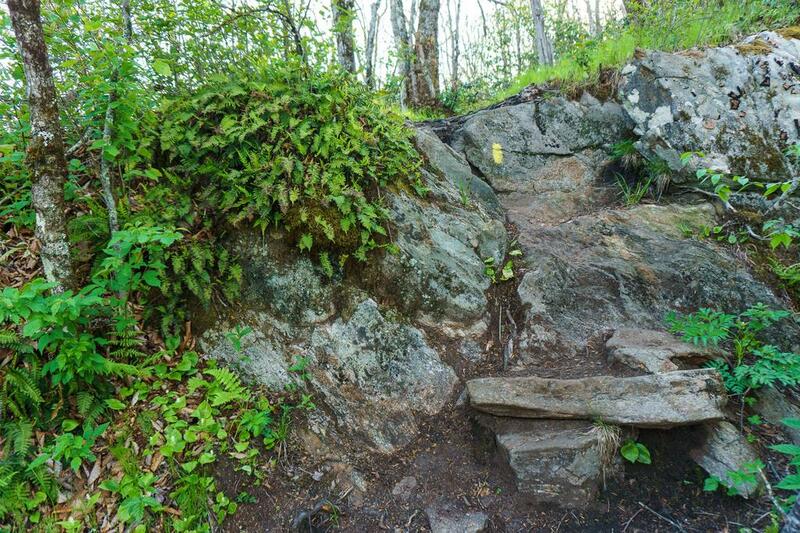 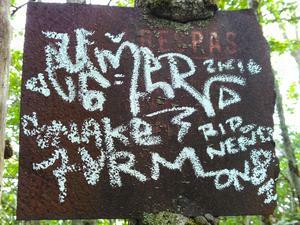 Crosses the summit of 5,341 ft Snowball Mountain in an areas where the ridge drops steeply on both sides of the trail. 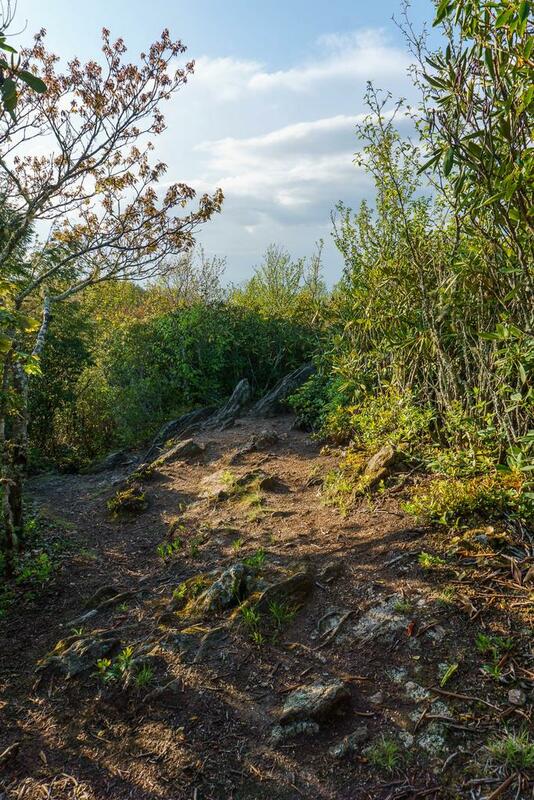 Winds downhill on the other side of the summit to a gap, then climbs again to Hawkbill Rock, where the trail becomes steep and rough. 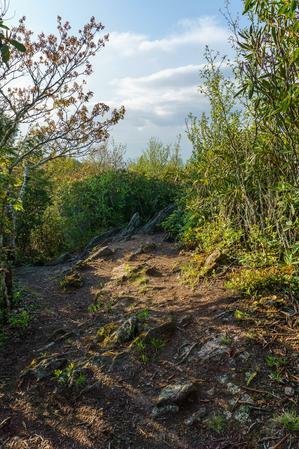 On Hawkbill Rock, there are limited views mostly to the southeast back toward Snowball Mountain and Lane Pinnacle, but also to the west toward the Craggies. The trail continues to follow the ridge toward Snowball Gap, a drop of 800 ft from the top of the ridge near Hawkbill. 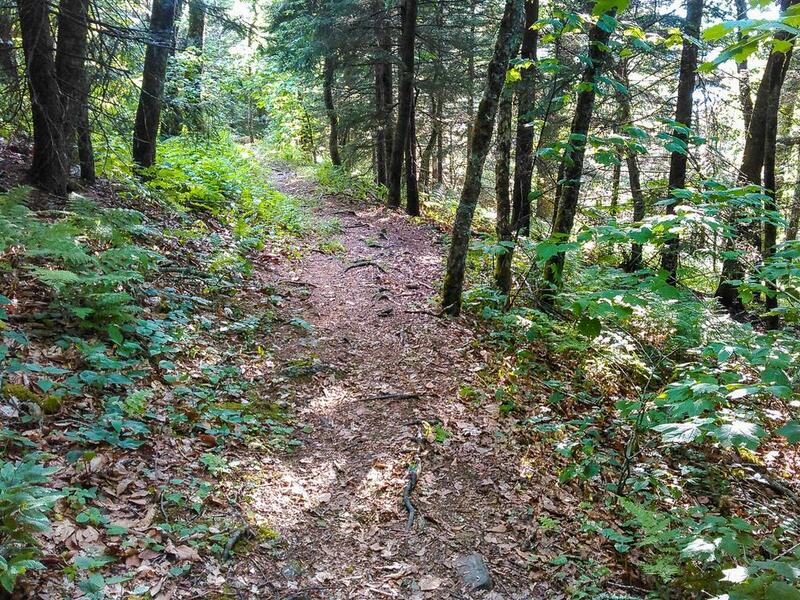 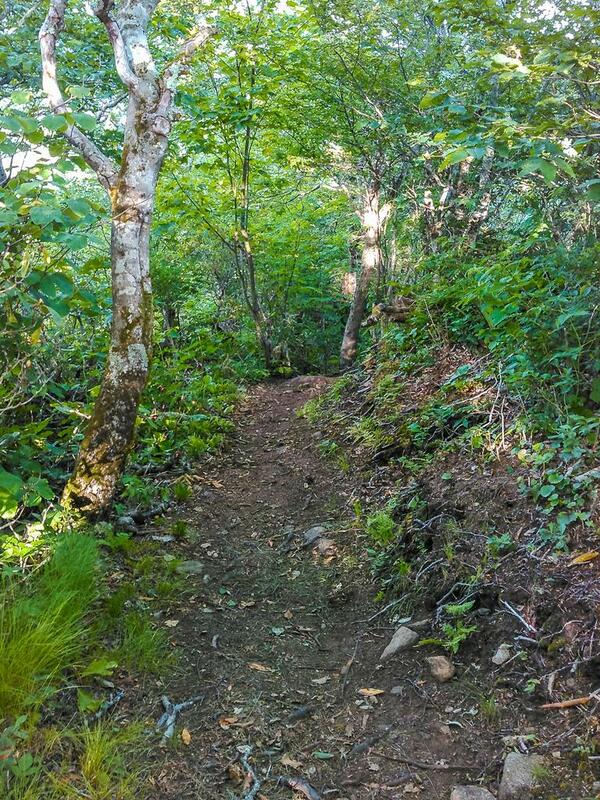 The trail widens at Snowball Gap due to illegal ATV use and begins to climb toward Little Snowball Mountain, where you may spot the remains of the old fire lookout tower that once stood on the summit. 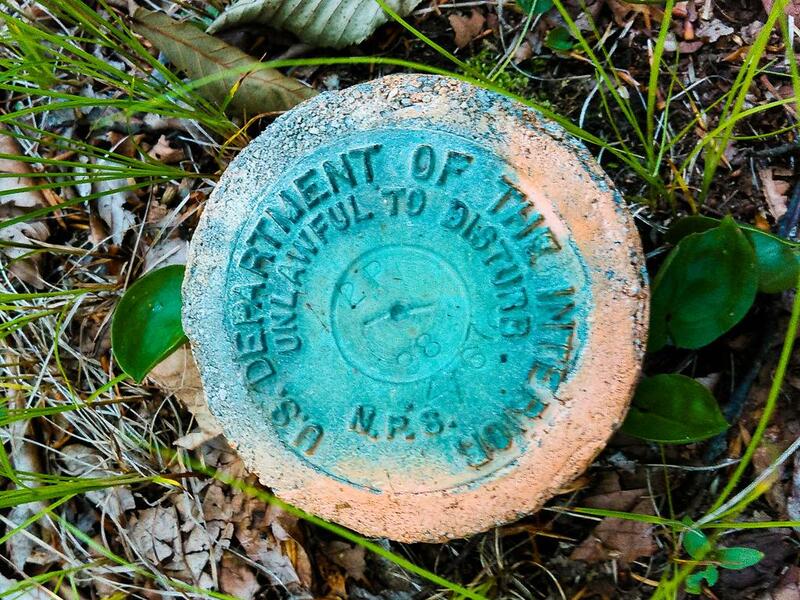 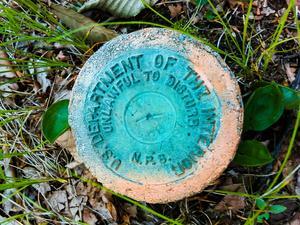 It was relocated to the Big Ivy Historical Park years ago, and only the concrete foundation remains. 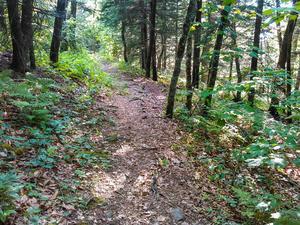 The hike back is more of a climb than a descent, so factor that in when deciding how much of this trail to hike. 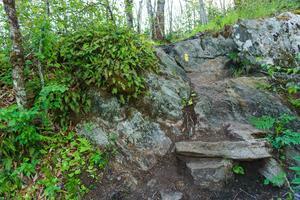 A great out-and-back destination would be Hawkbill Rock, since that covers the most interesting parts of the trail. 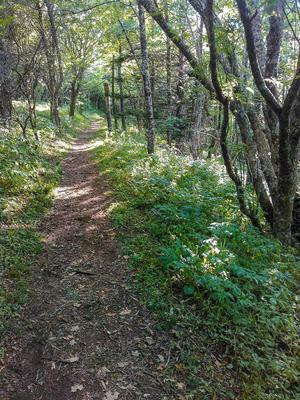 AKACAK said: Hiked today (7/24/17). Trail is in good condition. 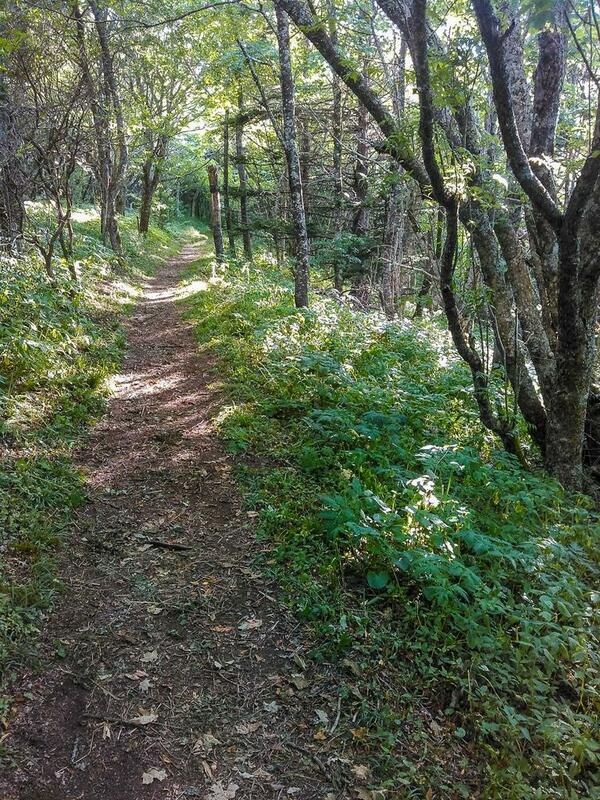 We had a plethora of butterflies and breezes. Fading rhododendrons and abundant Turk Caps dominated most of the color-scape. 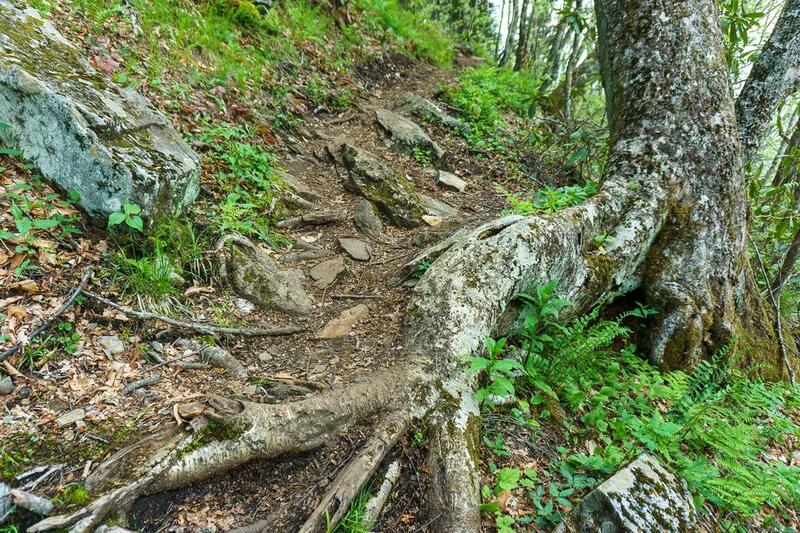 This has got to be a grand hike in the fall/winter when the trees have shed. 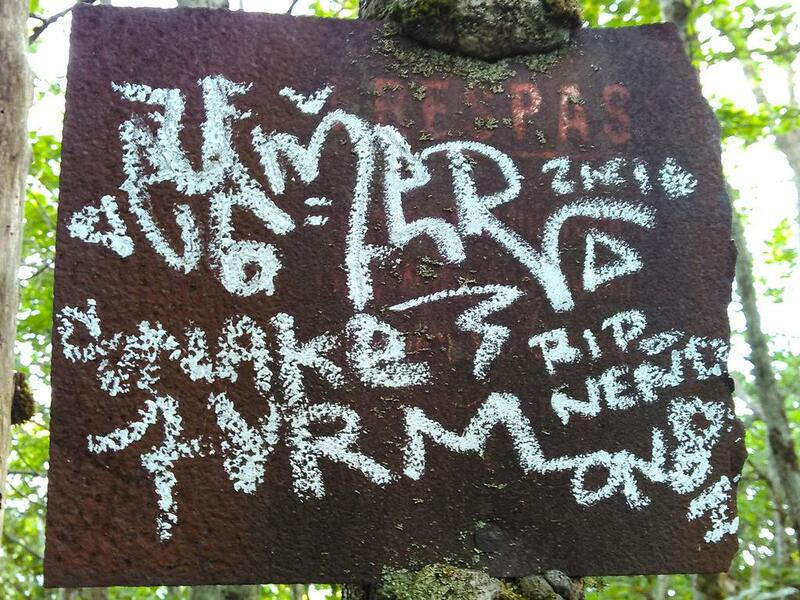 We Will certainly return.